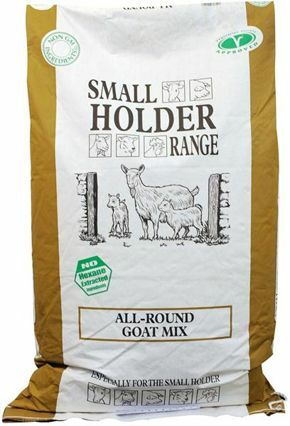 The Smallholder Range All Round Goat Mix is a nutritious goat mix suitable for all mature goats. With a light molasses coating for palatability. Balanced with essential vitamins and minerals.